Locally, nationally and internationally, Shawn Lipman was a force in the world of rugby for nearly a quarter of a century. As a competitor in a sport not normally associated with Jewish participants, Lipman has represented the U.S. National Team in over 20 International matches, including nine test matches. 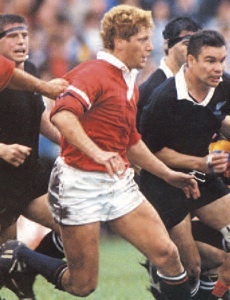 As the only Jewish player to ever play in the World Cup of Rugby – the highest level of International competition – Lipman has played against some of the best national teams and players on the planet, including New Zealand’s All Blacks and the respected teams/players of England and France. Lipman had a very successful run in the Maccabiah Games, acting as captain of the U.S. teams in 1993 and 1997, and representing the U.S. in 1989 and South Africa in 1985. Lipman is a three-time Most Valuable Player honoree of the Maccabiah Games Rugby Event (1989, 1993, 1997), and has been an integral part of teams that have won two gold medals, a silver and a bronze in the Maccabiah competition. He also captained the gold medal-winning 1997 US team and silver medal-winning 1993 team at the Maccabiah World Games. A member of the National Jewish Sports Hall of Fame, Lipman was an eight-time MVP honoree for Santa Monica Rugby – he was inducted into the Club’s Hall of Fame in 2006. In 2009, Lipman came out of retirement at the age of 44 to represent the United States at the Maccabiah Games, helping lead the team to a bronze medal.